The loss of a family member, loved one or a partner is the saddest moment of anyone’s life. Everyone avoids thinking about such a moment for years, but when it comes to us, each person has to prepare for it in his or her own way. In all such turmoil and sadness, it is sometimes surprising to learn that a funeral limousine can help in easing the pain of dealing with the loss of a loved one, and as such, Toronto Airport Limousine has turned its attention to serving the public when they are in such a need. With several options available for funeral limo rentals, the service should be considered by everyone to help with managing the activities of conducting a funeral for the immediate family. The concept of a funeral limo service is not provided to enhance the experience, but rather to provide a reputable car service that can transport the immediate family members of the deceased from one location to another. Some people become so distraught by their loss, they are unable to operate a vehicle themselves to make sense of directions. Therefore, a funeral limousine rental service from Toronto Airport Limousine will take away the need to perform such tasks, and provide simple car service limo transportation that will make all the difference. 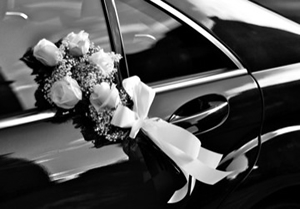 Professional limousine services can provide comfort, as everyone can grieve their loss in their own comfort zone. Besides the benefits of these services, the people affected most by the loss may consider driving their own vehicles as a sense of danger. Their emotional state would pose a hazard on the road, and the long line of cars may result in people getting lost or disconnected from the funeral procession. In addition, Toronto Airport Limousines comes in very handy when elder members of a grieving family need transportation. The funeral limousines would provide an easier mode of transportation; instead of having the elders manage stepping into larger and higher vehicles. These limos can overall make life easier for those few days of sadness. If you are planning a funeral, consider the funeral home services, their cars and drivers. Most funeral homes work with professional limousine services for their limo rentals, but if you are looking outside of those available, then consider Toronto Airport Limousine services, and we will snap to the job of providing you with a proper funeral limousine rental that will accommodate the needs of the family. We can compliment the professionalism of a funeral home and their services with a vehicle and driver that will understand the loss and their role in providing comfort and assistance to everyone that needs it.